Krzysztof "Diablo" Wlodarczyk of Poland successfully defended his WBC cruiserweight title with a unanimous decision against second-time challenger Francisco Palacios of Puerto Rico on Saturday. Wlodarczyk held the title from Palacios by split decision in April 2011 in a fight of much less action. This time, Wlodarczyk was faster and more effective, and the judges agreed with scores of 116-112, 117-112, 116-113. Wlodarczyk, who improved to 47-2-1 (33 KO) said, "Francisco, you are a very good fighter, very strong. Thank you." 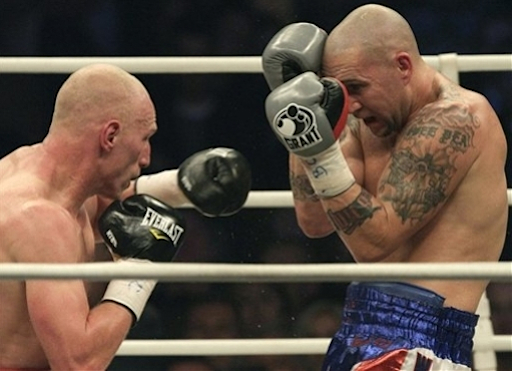 This was Wlodarczyk's fourth successive defense of the title he has held since May 2010, when he snatched it by knockout from Italy's Giacobbe Fragomeni.